Two generations of women, intertwined. The story begins after World War II when a woman depended on social conventions, up to today where the male domain is often showed in physical and psychological violence. The novel visits the wrong choices made for love and the liberation earned through the real love for the children until the final encounter with sister death. A story speaking of life and death. Not a biography, but a deposition to the Court of the Absentees: calling everyone to appear and take a part of responsability. A warning for today. A catharsis for yesterday. Telling is to resist. Words as well as ideas, have a story to be named not to implode and disperse. 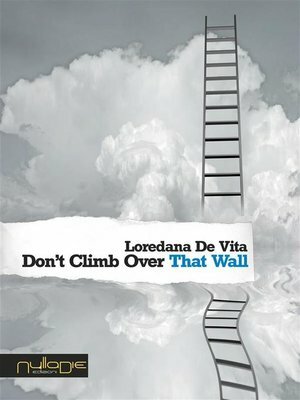 Loredana De Vita, from Naples, Professor of English Language and Literature, journalist and counselor, has a personality especially paid to communication. Among her publications, Armando: Let's Play I Was... Conversation with those who love school (2009); Parents Out of Control (2010), We are Nothing But Voice (2011). Nulla Die: Woman in Half (2014), Beyond the Mirror. Images and female culture (2015), Exploring the Invisible. Teenagers Looking for Self (2016).